It's been a while since I last shot basketball and I was able to photograph a game on Thursday, Feb. 6, thanks to a co-worker at the student newspaper who had an extra press pass. Here are some selects! 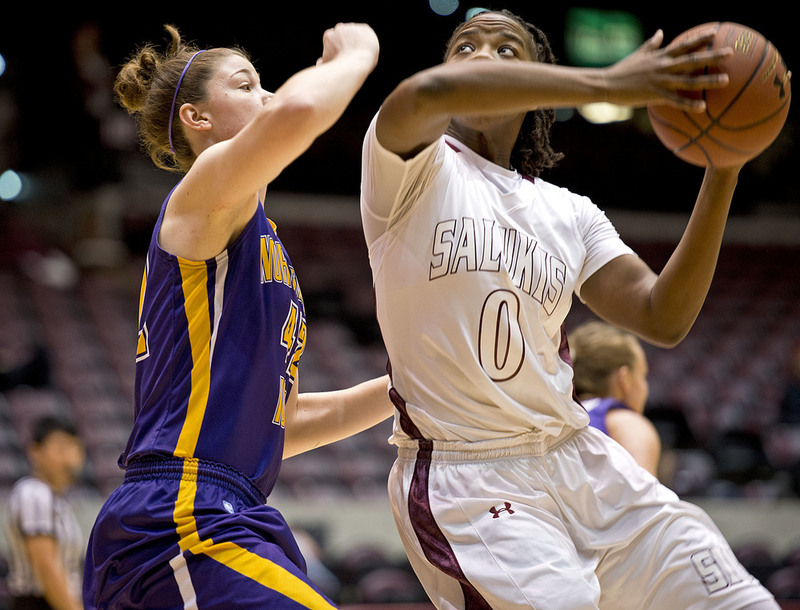 Salukis forward Dyana Pierre shoots over Northern Iowa's Jen Keitel. Saluki guards Jordyn Courier and Hannah Shores double team Northern Iowa guard Madison Weekly. Salukis guard Carlie Corrigan wrestles away the ball while being double teamed by Northern Iowa's Stephanie Davidson and Amber Sorensen. Salukis guard Sidney Goins puts up a hook shot over Northern Iowa's Brittni Donaldson. Salukis forward Dyana Pierre disputes a call with the official. Northern Iowa's Stephanie Davidson, left, and Hannah Schonhardt, right, help Jen Keitel get back up to her feet after taking a charge.